BMW & LEGO Team Up To Create One Insane Hoverbike Concept - Based On The BMW R 1200 GS Adventure! - Muscle Cars Zone! BMW & LEGO Team Up To Create One Insane Hoverbike Concept – Based On The BMW R 1200 GS Adventure! What is exactly a perfect vehicle? Well, it needs to be fast in its journey, and also have what it takes to reach places where cars can`t fly. Searching for their next project, Lego went to enjoy a park in Germany to meet up with the guys from BMW. 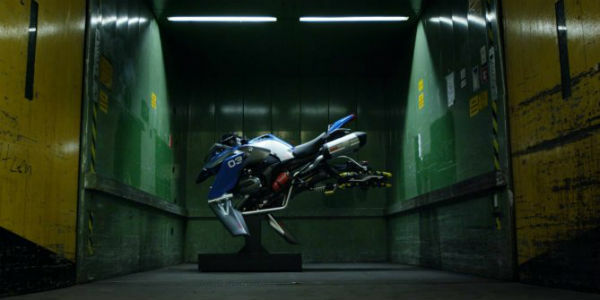 They decided to develop one incredible Hoverbike concept called the BMW R 1200 GS Adventure! This bike is their definition of the perfect motorcycle riding experience. Riding a bike is all about freedom, but the ultimate freedom is to go anywhere. The guys at BMW believe that this is the right answer and the right tool to almost every challenge. 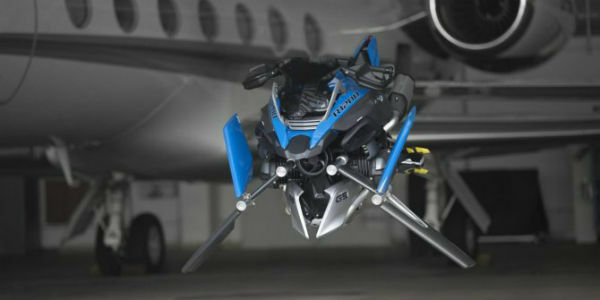 To help Lego with their Hoverbike concept, BMW delivered a full-sized motorcycle to Lego`s studio. According to Lego, this motorcycle is the perfect match with the Lego engineering family. We can`t wait for the first flight-test to see how the GS Adventure Hoverbike will function. It should be a motorcycle removed of its every limit. This model even features a front-wheel rim which is modified to a propeller. This doesn`t come as a real treat for only Lego and BMW fans, but for the entire transportation industry as well. The life-size replica is now complete and we can all bask upon its ingenuity. It is known that Lego has amazing car models, so visit their official website, maybe you`ll find something you like!